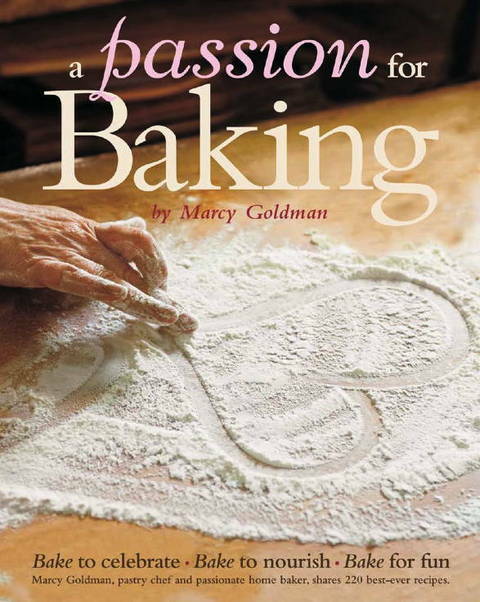 I first met fellow author and baking sister Marcy Goldman in Montreal during the IACP (International Association of Culinary Professionals) annual conference. She had invited me out to her home for a visit along with two other bakers and it was an enchanting experience to be in her kitchen tasting the cakes she made for us as we all talked baking. She also presented me with a beautiful rolling pin of her design which I used yesterday to roll out the bubka from her new book A Passion for Baking. I am sitting here (having already eaten a piece for breakfast and I don't usually eat breakfast, trying to fight off the impulse to defrost a slice I stashed in the freezer to make just such a temptation less convenient. 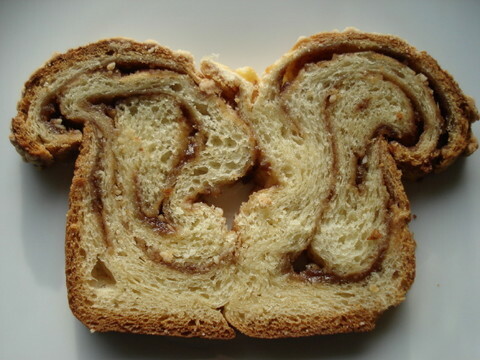 One of our fellow bloggers asked me what I thought of Marcy's bubka compared to the babka I had described in a previous posting. So of course I had to find out first hand even though I knew it was going to be wonderful--all the more so! First let me explain the name bubka. 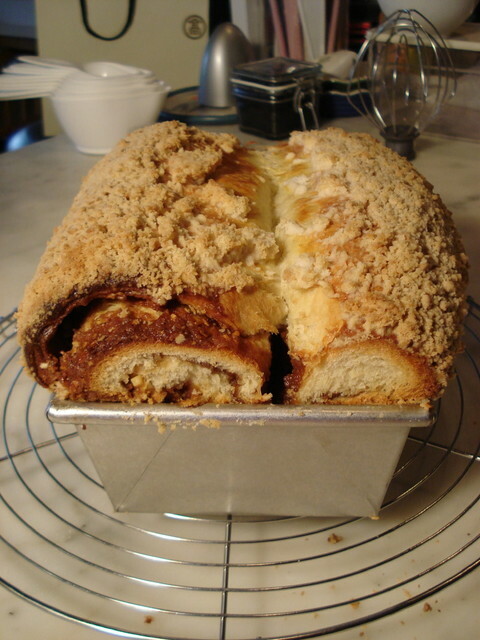 In both Polish and Yiddish, babka is a diminutive of baba or babcha, meaning old woman or grandmother. When I was growing up, my grandmother described an old woman as an "alta bubba." No doubt Marcy's ancestors come from the same location in Russia near the Polish border (Minsk) as bubka seems to come from bubba. Come to think of it, maybe it was a distant village as my grandmother used the word bubka to describe little hard things that are undesirable as in "it's not worth bubkas"! But a bubka or babka by any other name will taste as sweet and this is a cake/bread that deserves all the attention and enthusiasm it gets. According to the New York Times, my dear friend Arthur Schwartz, whose book Arthur Schwartz's Jewish Home Cooking is due to be published in April, writes that: ''Babka, in its original form, was stout and round, just like grandmothers used to be before they went to aerobics classes and practiced yoga.'' Now to Marcy's bubka itself. Compared to Anne Amernick's (to which I referred in the prior posting) it is less cakey and more bready, i.e. less tender and more chewy which I personally find more satisfying. This texture is mostly because it employs a combination of bread flour and unbleached all-purpose (I used Harvest King flour which is about the same protein percentage). Marcy describes the recipe as "...it strikes the right notes of sweet and bready," and for me this resulted in the perfect balance between bread and cake. The dough is so lively it virtually bursts from the pan on baking. In fact, I would use a larger bread pan than the 9 x 5 recommended to keep it from spreading sideways as much. (My 9 x 5 pan is 7 cups but my All Clad 10 x 5 is 8 cups and I think that would be just perfect.) For those of you who weigh, I used 412 grams/almost 15 ounces of flour for half the dough. To continue with the comparison, Marcy's bubka has less egg and butter but more water which makes it lighter and moister. 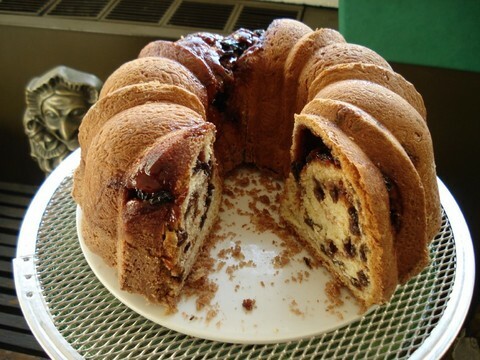 In fact, it is quite similar to my kugelhopf but moister which I prefer! I also adore the brown sugar/almond paste in the filling. Some oozed out to form crunchy edges on the crust--confession--I who write in no uncertain terms to let the bread cool completely before cutting kept attacking this bubka to eat those crunchy edges until finally I could stand it no longer and cut a whole still hot slice and consumed it all! Bubka is pure heaven to me - because it strikes the right note of sweet and bready. It is also relatively easy to make - not as complicated as true Danish with its rolled in blocks of butter but certainly richer and moister than a sweet dough. I often use a bread machine to make the dough - although I have to give the mixing a hand at first by using a rubber spatula, just to get the rich dough properly going. Generously spray two 9 by 5 inch loaf pans with nonstick cooking spray. Line a double-up baking sheet with parchment paper. For an extra large bubka, use a 10-inch angel food cake pan, also sprayed with nonstick cooking spray. Place the pans on the baking sheet. In a mixer bowl, hand whisk the water and yeast together and let stand 2-3 minutes to dissolve the yeast. Briskly whisk in the eggs, egg yolks, vanilla, almond extract, lemon juice, sugar, salt, milk powder and all-purpose flour. Then stir in the butter and most of the bread flour. Mix dough, then knead as it becomes a mass, with a dough hook or by hand for about eight to ten minutes, until smooth and elastic, adding in more bread flour as required. Remove dough hook and cover entire mixer and bowl with a large, clear plastic bag. Allow to rise, about 45-90 minutes until puffy or almost doubled in size. This is also an ideal dough to refrigerate overnight and resume next day, allowing dough to warm up a bit before proceeding. Whisk an egg in a small bowl for the egg wash.
For the Filling, in a food processor, process the butter, sugar, almond paste, corn syrup, cinnamon, and almonds to make a soft paste or filling. For the Crumb Topping, in a small bowl, cut the butter, confectioner's sugar and flour together to make a crumbly topping. Turn out onto a lightly floured work surface and gently deflate the dough. Divide dough in two portions. On a well-floured work surface, roll dough into a 16 inch square. Spread on the filling over dough surface. Roll up dough into a large jellyroll. Cut in half. Place both halves in prepared pan, beside each other - it doesn't matter if they are a little squished. Brush well egg wash and sprinkle with some sugar. Repeat with remaining dough and filling. Spray the tops of both loaves with nonstick cooking spray. Place the pans on the prepared baking sheet and cover with the large, clear plastic bag. Let rise until the bubka is flush or a touch over the sides of the pan, 45-75 minutes. Brush with egg wash. Sprinkle with Crumb Topping. Preheat oven to 350 F. Bake 40-50 minutes (55-70 minutes for one large bubka) until bubka is medium brown. Cool in pan fifteen minutes before removing to a rack or serving plate. Makes one large or two medium bubkas. Equipment: One 9-inch by 2 1/2-inch or higher springform pan, greased, outside of the pan wrapped with a double layer of heavy-duty foil to prevent seepage. One 12-inch by 2-inch cake pan or roasting pan to serve as a water bath. CRUST: 4 1/4 oz. gingersnaps, broken (preferably Swedish brand), 2 oz. pecans, toasted, 1T sugar, 2 pinches salt, 2 oz. butter, melted. Process cookies and pecans, sugar, salt til fine crumbs (app 20 secs.) Add melted butter and pulse 10 times til just incorporated. Press into pan and up the sides. In a small, heavy saucepan, stir together the pumpkin and sugar. Over medium heat, bring the mixture to a sputtering simmer, stirring constantly. Reduce the heat to low and cook, stirring constantly, for 3 to 5 minutes, until thick and shiny. Scrape the mixture into a large food processor, fitted with the metal blade and process for 1 minute with the feed tube open. With the motor running, add the cold cream. Add the cream cheese in several pieces and process for 30 seconds, scraping the sides two or three times, or until smoothly incorporated. Add the eggs and yolks and process for about 5 seconds or just until incorporated. Pour the batter into the prepared pan. Set the pan in the larger pan and surround it with 1 inch of very hot water. Bake the cake for 45 minutes. Turn off the oven without opening the door and let the cake cool for 1 hour. Remove it to a rack and cool to room temperature (about 1 hour). Cover with plastic wrap and refrigerate it overnight. To unmold, wipe sides of pan with towel run under hot water and wrung out. The cake will be 1 3/4-inches high. Optional Caramel and Pecan Garnish: Arrange the pecan halves around the perimeter of the cake pointed ends out. If using extra pecan pieces, scatter them evenly within the circle of pecan halves. The caramel can be added 6 hours ahead but the cake cannot be covered, as the condensation will soften the caramel. Pour the caramel into a quart-size freezer weight zip-seal bag (without a “zipper”) or a piping page. Cut a small amount from one corner and pipe the caramel in swirls on top of the pecans. Take care when making it not to have any small children about and give it your undivided attention. Caramel burns are extremely painful. In the saucepan, stir together the sugar, syrup, and the water until the sugar is completely moistened. Heat, stirring constantly, until the sugar dissolves and the syrup is bubbling. Stop stirring completely and allow it to boil undisturbed until it turns a deep amber (360°F to 380°F.). Immediately remove it from the heat and slowly and carefully pour the hot cream into the caramel. It will bubble up furiously. Use a high temperature spatula, to stir the mixture until smooth, scraping the thicker part that settles on the bottom. If any lumps develop, return the pan to the heat and stir until they dissolve. Stir in the butter. The mixture will be streaky but become uniform after cooling slightly and stirring. Allow it to cool for 3 minutes. Gently stir in the vanilla extract. For a decorative lacing effect, the caramel pours perfectly at room temperature. For the greatest precision, use a pastry bag with a small decorating tube or zip seal bag with a small amount of the corner cut. Store: Room temperature up to 3 days; refrigerated at least 3 months. To reheat: If the caramel is in a microwave-safe container at room temperature, microwave it on high power for 1 minute, stirring twice. Alternatively, place it in a pan of simmering water and heat, stirring occasionally, until warm, about 7 minutes. After the caramel is prepared, do not stir it too much as this also may eventually cause crystallization. The syrup will help to prevent this. Variation: Bourbon Butterscotch Caramel: Substitute 2 tablespoons of bourbon for an equal amount of the cream. Add it together with the vanilla extract. Preheat the Oven: 20 minutes or longer before baking, set an oven rack in the lower third of the oven and preheat the oven to 350°F. In a medium bowl, lightly combine the yolks, about 1/4 of the sour cream, and the vanilla. In a stand mixer bowl, with paddle attachment, combine the cake flour, the sugar, the baking powder, the baking soda, and the salt. Mix on low speed for 30 seconds to blend. Add the butter and the remaining sour cream and mix on low speed until the dry ingredients are moistened. Increase to medium speed, or high speed if using a hand held mixer, and beat for 1 minute to aerate and develop the structure. Scrape down the sides. Gradually add the egg mixture in 2 batches, beating for 20 seconds after each addition until fully incorporated. Scrape down the sides. Scrape the batter into the prepared pan. Smooth the surface. Bake for 35 to 45 minutes or until a cake tester inserted in the center comes out clean and it springs back when pressed lightly in the center. Remove the cake from the oven and set it on a wire rack to cool for 10 minutes. Loosen the sides of the cake with a small metal spatula, and remove the sides of the springform. Invert the cake onto a wire rack and reinvert onto a second rack it so that the top faces up. Cool completely before frosting or wrapping airtight. Store airtight 3 days room temperature; 1 week refrigerated; 3 months frozen. Use cake flour without leavening or bleached all purpose flour. Use unsalted butter for the best flavor. Use fresh baking powder under 1 year old.